Denis Yanishevskiy focuses his practice on intellectual property litigation, including trademark, copyright and patent disputes. He has worked primarily in drafting and responding to discovery requests and motion practice for federal court actions. Denis also is experienced with opposition and cancellation proceedings in the Trademark Trial and Appeal Board of the United States Patent and Trademark Office (USPTO). He also focuses on copyright and trademark prosecution, including trademark and copyright application filings and responses to office actions by the USPTO. Prior to joining the firm, Denis worked as a professor's research assistant and law clerk in private practice. As a research assistant, Denis conducted research on securities markets and patent portfolio securitization as they relate to patent portfolio markets and non-practicing entities. In private practice, Denis performed trademark viability analyses for small business clients regarding registration of their trademarks. Denis also assisted Russian-speaking clients with initial claim analysis and preliminary litigation matters. 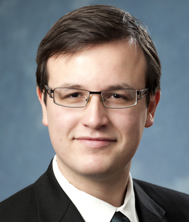 Before graduation, Denis served as a Board Member of the Villanova Environmental Law Journal. His responsibilities included source checking legal citations, revision and commentary on written article drafts and selection of finalists for publication. Denis personally published an article in the journal, entitled, "The California Project: Federal Government Continues Trend of Preemption in Boeing Co. v. Robinson," regarding nuclear waste disposal. Denis is licensed to practice law in both Pennsylvania and New Jersey. Denis is proficient in the Russian and Spanish languages.